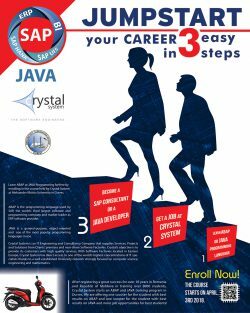 On 03 April 2018 starts a second session of courses in collaboration with Aleksander Moisiu University of Durres, sponsored by Crystal System. Courses will be held in the University premises, students can enroll and participate for free choosing between ABAP and JAVA programming languages. Two scooters will be offered to the best students of the 2 courses after the final exams.